The Old Vermilion Jailhouse Bed and Breakfast - Come and enjoy your stay at The Old Vermilion Jailhouse Bed & Breakfast. Relax in comfort and indulge your dreams in the perfect getaway. Located in the heart of Vermilion’s Historic Harbor Town District, our Jailhouse is perfect for a romantic evening, family vacation, girls or guys night out, and we can even provide the backdrop for your proposal to the love of your life.Built in 1910, this jailhouse was beautifully recreated with the upscale clientele in mind. Recalling the charm of yesterday, the Jailhouse retains the original jail bars and layout. The interior details are fashioned in the style of a mythical dream castle based in an ancient European-style. With its luxurious décor and faux marble floors you will feel like royalty.The Old Vermilion Jailhouse is within walking distance of all of the attractions that Vermilion has to offer including shopping, fine dining, beaches, the harbor, and more. 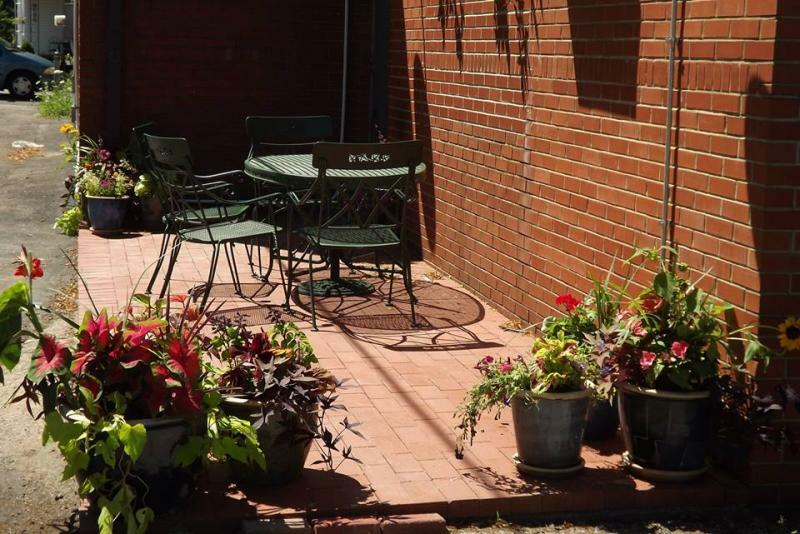 Located just 30 minutes from the world famous Cedar Point, the Jailhouse provides the perfect setting for you to bring your family and friends. We invite you to relax and enjoy our unique city.A private inn, the Jailhouse can accommodate up to (4) guests. Over 600 square feet of space is available for your exclusive use. You and your guests will have privacy without the interruption of other guests.We look forward to welcoming you.The Old Vermilion Jailhouse is the only privately owned and operated exclusive Jailhouse bed and breakfast in the world. Come and enjoy your stay at The Old Vermilion Jailhouse Bed & Breakfast. Relax in comfort and indulge your dreams in the perfect getaway. Located in the heart of Vermilion’s Historic Harbor Town District, our Jailhouse is perfect for a romantic evening, family vacation, girls or guys night out, and we can even provide the backdrop for your proposal to the love of your life. 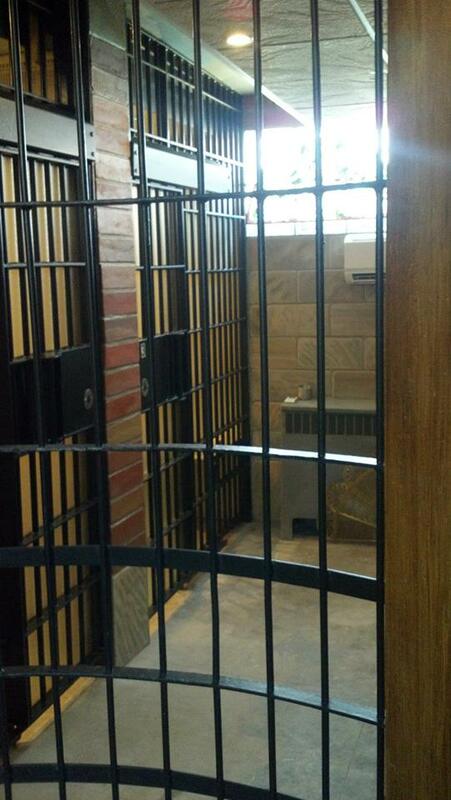 Built in 1910, this jailhouse was beautifully recreated with the upscale clientele in mind. Recalling the charm of yesterday, the Jailhouse retains the original jail bars and layout. The interior details are fashioned in the style of a mythical dream castle based in an ancient European-style. With its luxurious décor and faux marble floors you will feel like royalty. The Old Vermilion Jailhouse is within walking distance of all of the attractions that Vermilion has to offer including shopping, fine dining, beaches, the harbor, and more. Located just 30 minutes from the world famous Cedar Point, the Jailhouse provides the perfect setting for you to bring your family and friends. We invite you to relax and enjoy our unique city. A private inn, the Jailhouse can accommodate up to (4) guests. Over 600 square feet of space is available for your exclusive use. You and your guests will have privacy without the interruption of other guests. The Old Vermilion Jailhouse is the only privately owned and operated exclusive Jailhouse bed and breakfast in the world. NOW IS YOUR OPPORTUNITY to stay in an authentic, historic jailhouse, with all of the amenities of a 5 Star Hotel. But, you won’t be arrested! Originally built as the town library and later turned into the town’s jailhouse, our building is designated as a Harbor Town District Landmark. We are committed to providing you privacy and exclusivity during your stay. 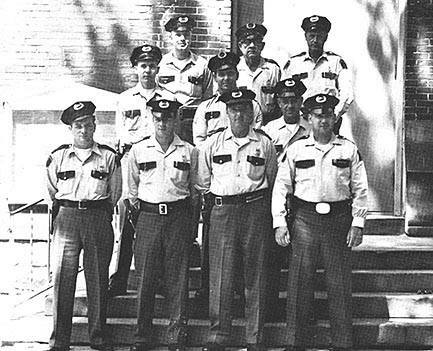 Below is an historic photo of Vermilion’s finest. ﻿Please contact us anytime!﻿ We look forward to hearing from you. Copyright 2013 The Old Vermilion Jailhouse. All rights reserved.